I have a closet full of old tech that I will never use again, but for some reason hang on to “just in case”. Here is an old motherboard. 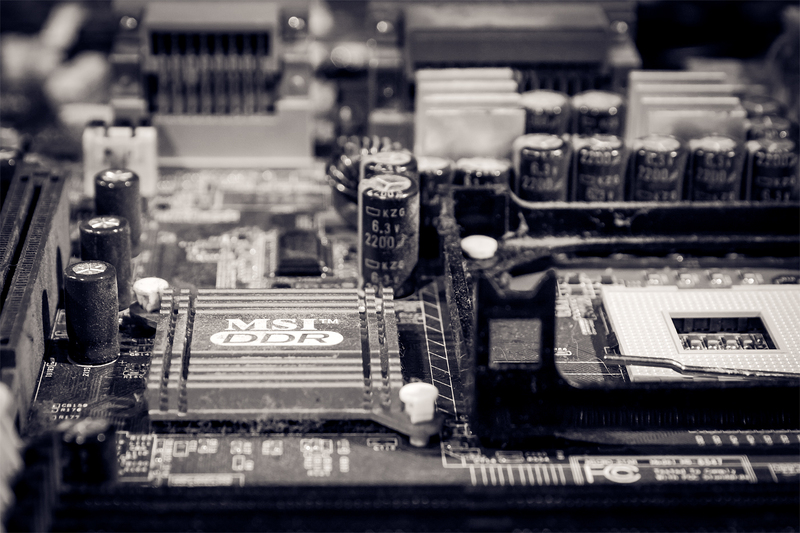 I shot in Black and White as if this where some old long lost photo of some long forgotten tech.